Adult Flatfoot is also referred to as PTTD, or posterior tibial tendon dysfunction. Learn more about this condition by reading on. You've seen them at the mall, at the pool and maybe even at home! Flatfoot is seen often. Some people know they have flatfoot because of a current or past foot condition, but other people may have a flat foot structure and not realize that it could be the cause of knee, hip or even back pain! Flatfoot can be treated a multitude of way depending on the severity. 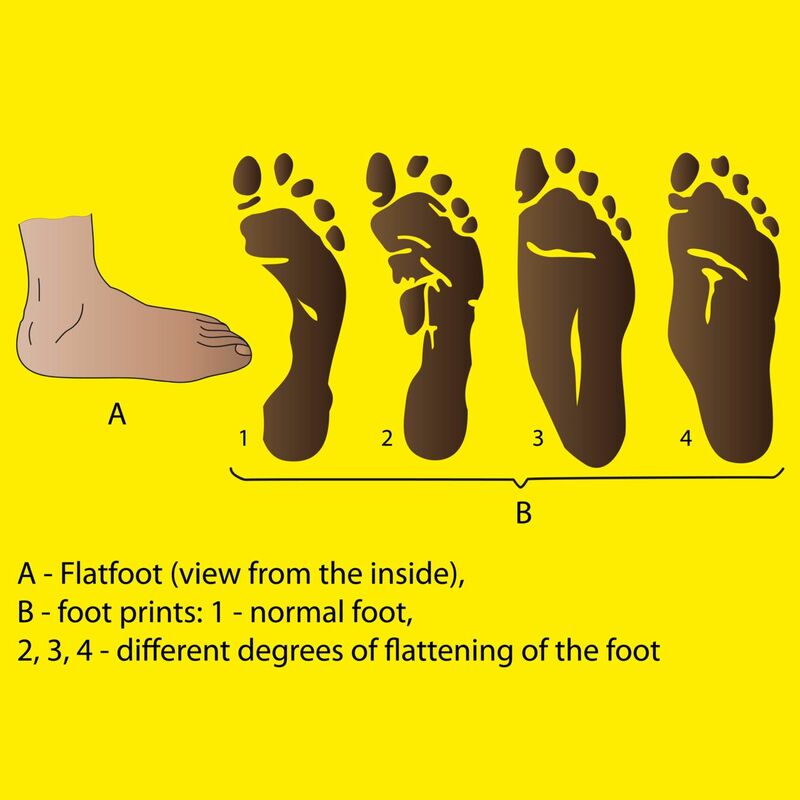 When we see adult patients for flatfoot, we also express the importance of having their childrens' feet evaluated. Flatfoot is typically inherited by our parents or grandparents genetically. It can lead to other foot conditions when not treated. The term PTTD stands for posterior tibial tendon dysfunction. The posterior tibial tendon is a very important tendon that begins above the inside of the ankle and extends into the inside aspect of the foot. This tendon is the main "invertor" of the foot, meaning that it is responsible to turn the toes and foot in towards the midline of the body. This tendon also happens to be in charge of holding up the arch of the foot. When a child grows up and inherits flatfoot, this tendon can become fatigued, weak and even torn due to the excessive pull placed on it by the flat foot structure. The term "dysfunction" encompasses anything from that fatigue to weakness to tearing - but generally is used to describe the fact that it is not able to perform its intended duty of holding up the arch of the foot. Flatfoot in adults may present as pain in the arch, pain in the ankle or even pain in the heel. Beyond this, deformities of the feet can develop due to the changed structure of the foot which alters the function of other tendons in the foot and ankle. Flatfeet are often present with people who have bunions and hammertoes. Bunions typically form due to the flatter foot structure causing a decreased efficiency in the tendon on the outside of the foot call the peroneal tendon. There are 2 peroneal tendons (a short and a long) and the long peroneal tendon crosses from the outside of the foot to the base of the bone which connects to the big toe joint. The pull of this muscle is weakened in a flat foot and the instability in the joint just behind the great toe joint leads to the development of a bunion. Hammertoes develop often in flatfooted people because your body is trying to compensate for instability by enlisting the help of the tendons that attach to the toes and flex them down. The toes chronically curl to grip the floor for increased stability and over time these tendons adapt and shorten and the joints within the toes can become rigidly bent downward. In children and adolescents, bunions and hammertoes and arch pain may NOT be present, but often times these kids will have fatigue in their feet and may withdraw from sports activities as adolescents or as children may often want to be carried by their parents. Children may also walk on their toes if they are developing flatfoot, as this position of the foot increases stability in the back of the foot and feels more secure than walking heel-to-toe. In worst-case scenarios, flatfoot can become so hindering that conservative treatments provide minimal relief. At this point surgery may be the only next option. Before it gets to this point - see your podiatrist! Treating flatfoot early decreases the likelihood that pain and deformities end up limiting your lifestyle! Temporary bracing, physical therapy and orthotic inserts to support your arch can help to prevent further deformities and the need for surgery.